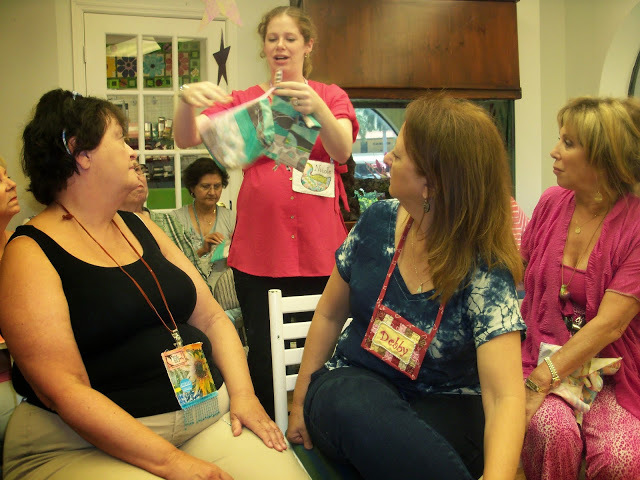 Kerrilyn O'Rourke gave a report and showed samples of workshops she did when she attended Sewtopia. This is a Kansas Dugout block taught by RIta Hodges. Look at all those lovely macaroons! 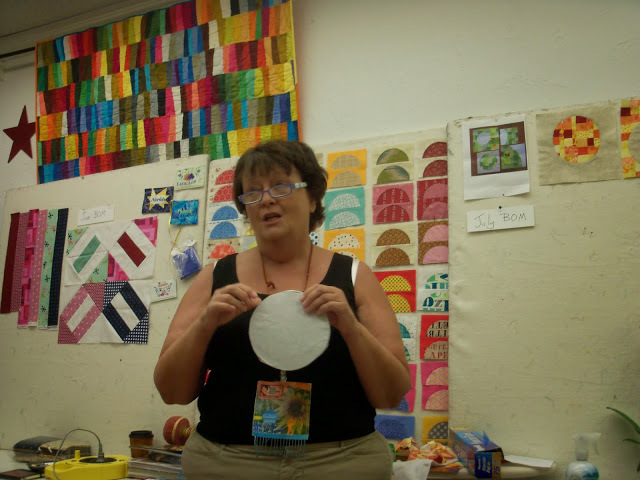 Allison talks about mixing our round robin up a bit by making improv pieced blocks. She shows a sample made by Ivy Bagnall. 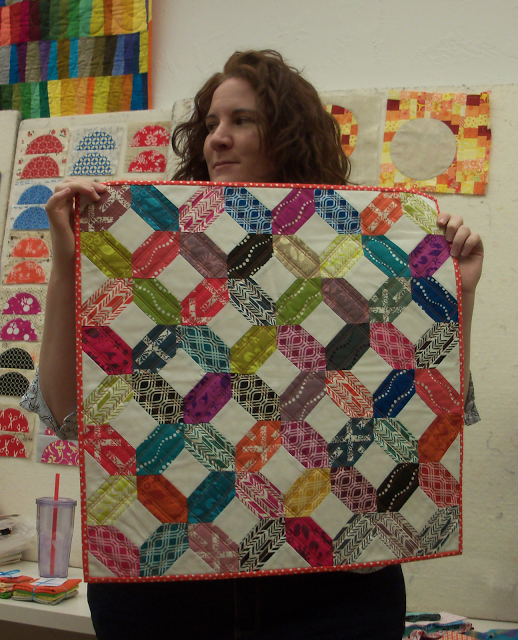 atti made this baby quilt, using Kate's tutorial from the April meetingto make the center. Andrea brought in the baby quilt she made for her son. Congratulations Andrea! Joanne showed us a scrappy baby quilt she had made. Nicole has ready completed her Riley Blake challenge from the MQG for 2015, she brought in her completed pouches to share. Suzi also showed us her wonky star quilt. 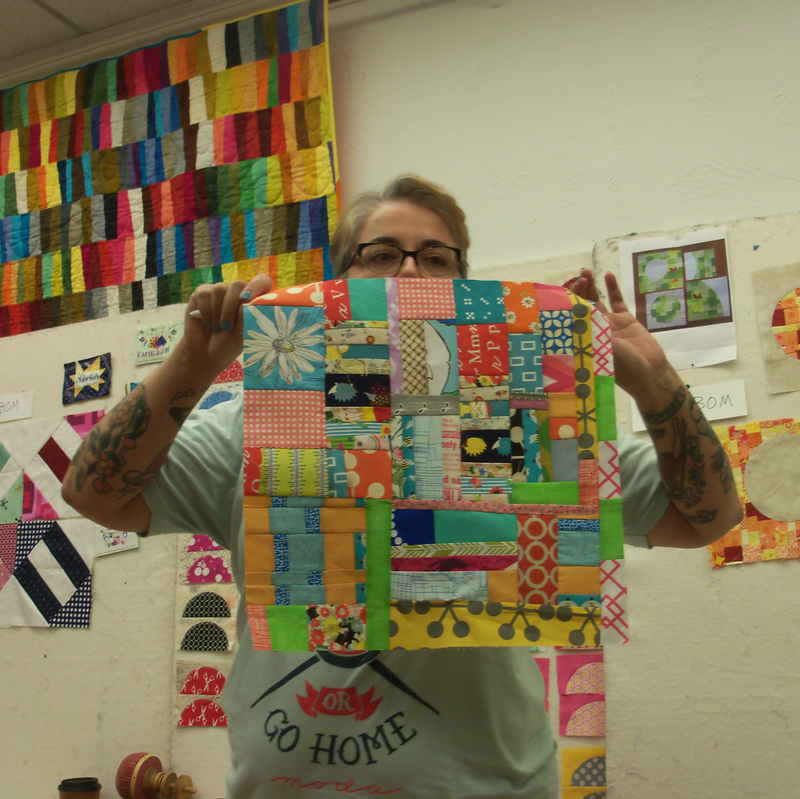 Patti showed a jelly roll quilt that she made. Yesterday's meeting was packed, thank you to everyone who joined us for the May meeting! Charlotte and Debby gave us a recap of their visit to Paducah, and they presented a slide show of the modern quilts on display there. 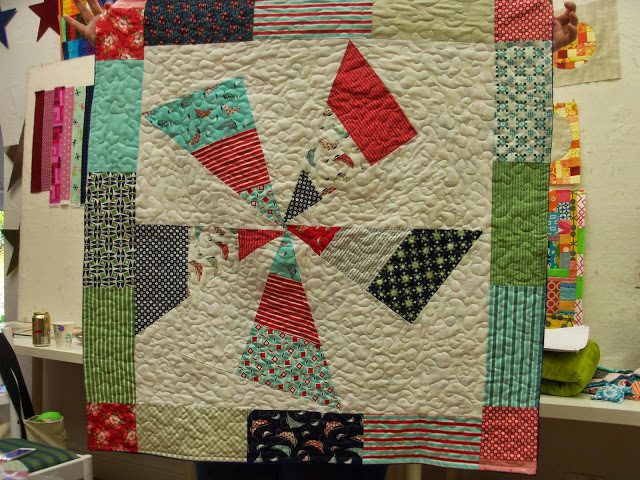 It was great for all of us to see some examples of the modern quilts in the AQS quilt show. You can read more about it, and see the winning quilts on their website. 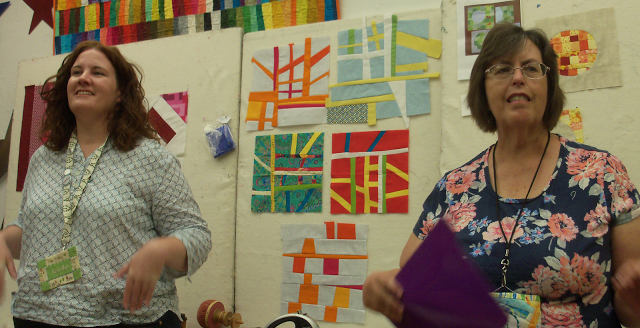 Kerrilyn told us about her retreat to Sewtopia in Chicago. 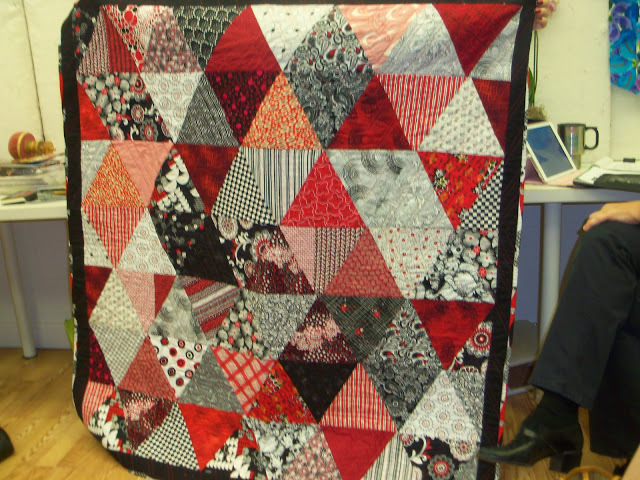 She learned from two different Modern Quilting instructors, Rita Hodge and Latifah Saafir. Rita Hodge taught the Kansas Dugout block:. 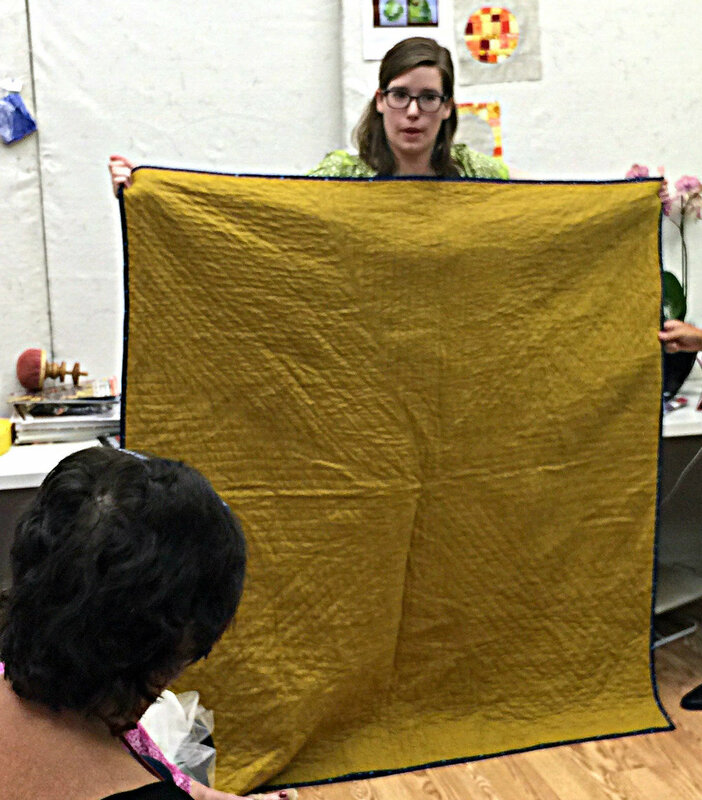 Latifah Saafir taught her Molehills quilt (which is a pattern you can buy online.) 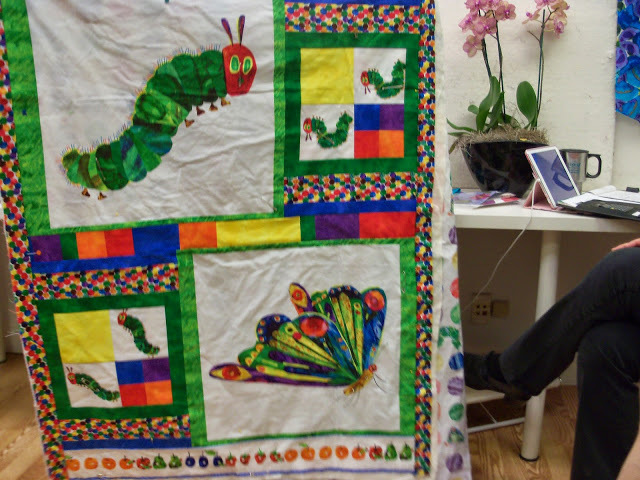 If you are interested in making a Molehills quilt, there is a quilt-along which just started on Latifah Saafir's website. Kathy distributed the different Round Robin quilts that were returned for our Project Linus quilts. She also talked to us about the organization, and where these charity quilts go after we give them to Project Linus. Ivy brought in a great example of a modern block, which could be used as a Round Robin starter (as modeled by Allison). If anyone is interested in making single blocks for charity quilts, they're always welcome (in any size!). These improv pieced blocks are easy to make our of your scraps, and can be pieced together with blocks of other sizes to make an interesting, modern quilt top. The May Block of the Month (French Macarons) was very successful, and we had a lot of participants: Linda was the lucky winner of the BOM raffle. Shelly posted example blocks and the color palette for the June BOM and Jelly Roll raffle. 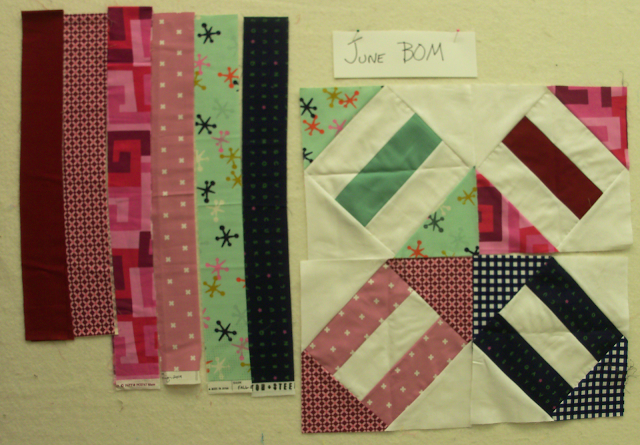 The June BOM is Cracker Scraps, tutorial can be found here. You can also check out our BOM tab at the top of this page to get more information about our upcoming BOMs. Tammie shared with us the upcoming events at StitchCraft, including the StitchCraft Challenge, starting on June 1st. You can see their upcoming classes and events here. If you are interested in joining the QAL, but didn't sign up at the meeting, please let us know! Instructions will be sent to everyone shortly, and updates will be posted here on the website, and on our facebook group. As a reminder, next month's meeting with be held on June 20th at 10:00am at StitchCraft. Please bring a BOM for June, and a Jelly Roll strip using our color palette for June.